Nancy Noble teaches art history survey classes and courses in American art and Museum Studies at UMass Amherst. 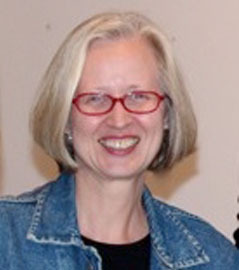 Since 2000, she has developed numerous specialized courses on American art from the colonial period to the 1960s, European art from the 18th to the early 20th centuries, and museum and exhibition practices as a lecturer at UMass Amherst, the University of Hartford, Wesleyan University, and Mount Holyoke College. Some of her recent courses include investigations of late nineteenth and early twentieth-century American art and gender, early twentieth-century American modernism, and writing intensive studies of Winslow Homer and American landscape art. She is currently developing a course that investigates art and the rise of modern popular culture in early 20th century America, focusing on the intersection of mass media and traditional fine arts. She is the Department’s Undergraduate Program Director and Honors Program Director. Her research focuses on gender and the development of the role of the artist in nineteenth-century American culture. She recently co-curated an exhibition of women artists from the collection of The New Britain Museum of American Art and co-authored WomenArtists@NewBritainMuseum (2010). Sherry Buckberrough and Nancy Noble. WomenArtists@NewBritianMuseum. New Britain, CT: New Britain Museum of American Art; distributed by University Press of New England, 2010. Nancy Stula and Nancy Noble. American Artists Abroad and Their Inspiration: Selections from the Lyman Allyn Art Museum. New London, CT: Lyman Allyn Art Museum, 2004.